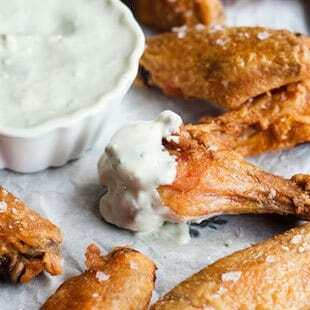 All the chicken wing recipes you need are right here. 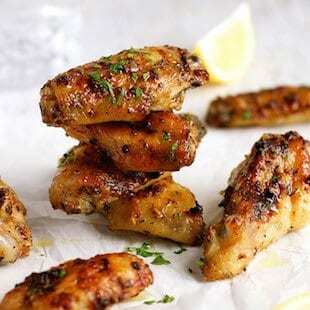 33 recipes for oven baked wings to satisfy your cravings. All the classics, Asian favorites and so much more. PLUS 7 bonus dipping sauces! Easy to make. Big on flavor. Love it. Or get your money back. Hi! I’m Nagi, the creator of RecipeTin Eats food blog. And I am completely and inexplicably in love with chicken wings. I can’t explain it and I don’t try to over analyse. All I know is that when they are in front of me, I have an irresistible urge to pick one up. Inevitably with a smile on my face. I made this eCookbook after overwhelming requests from readers for variations of my popular Truly Crispy Oven Baked Chicken Wings. They really are a miracle – wings made in the oven that are so crispy you will think they were fried. This recipe has been downloaded by hundreds of thousands of people from all around the world! But no chicken wings cookbook would be complete without including sticky wings too. So this cookbook contains 33 recipes for my favorite oven baked chicken wings. Plus, I’ve included 7 bonus dipping sauces! All but 3 recipes are exclusive to the eCookbook. That’s 30 wing recipes that will never be on RecipeTin Eats! Favorites (left to right): Truly Crispy Classic Buffalo Wings, classic Truly Crispy Oven Baked Chicken Wings and Korean “Fried” Chicken Wings. More Favorites (left to right): Honey Sriracha Wings, Southern “Oven Fried” Wings, Honey Soy Wings. Asian Favorites – made extra sticky and loaded with flavour! Left to right: Thai Wings, my mother’s Teriyaki Wings and my family recipe for Sticky Chinese Wings. Crispy Seasoned Wings – heavily seasoned because I like my wings with an extra thick crust! Left to right: Cajun Wings, Jerk Wings and Chicken Shawarma Wings. Plus Mexican wings (left) and Breaded Crumbed Wings (middle). 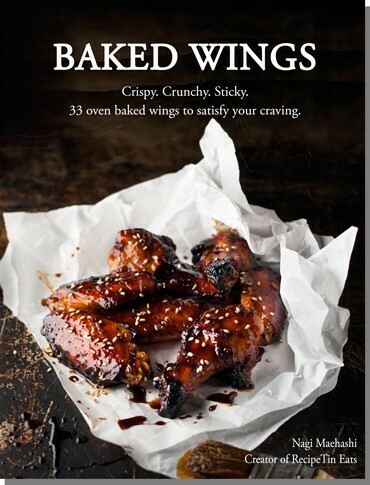 And this cookbook would not be complete without combining two of my favourite loves: bacon + wings….anyone for Bacon Wrapped Wings? Want to know more? Here’s the full list! Yes! So you can get it instantly. 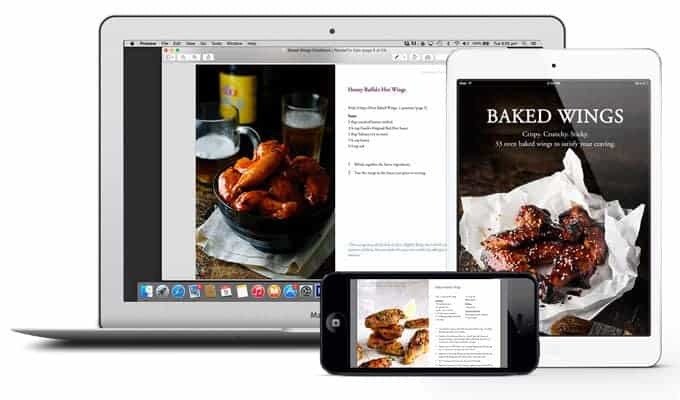 🙂 An eCookbook is just a cookbook in a digital format. As soon as you buy it, you can download it and start using it straight away. It’s made for you to use on your computer, iPad, tablet or smart phone. If you’re on your computer, the file will be saved straight to your Downloads folder. Or if you are using your iPad or iPhone, the eCookbook will open in Safari then you can pop it straight into iBooks! Of course, if you really want to, you can print it out…. Love it. Or your money back. 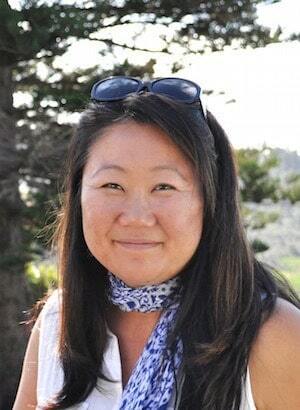 Thank you for reading about my cookbook!